“Ain’t Too Proud,” a musical based on the life of the Temptations, is coming to Broadway in the spring of 2019. 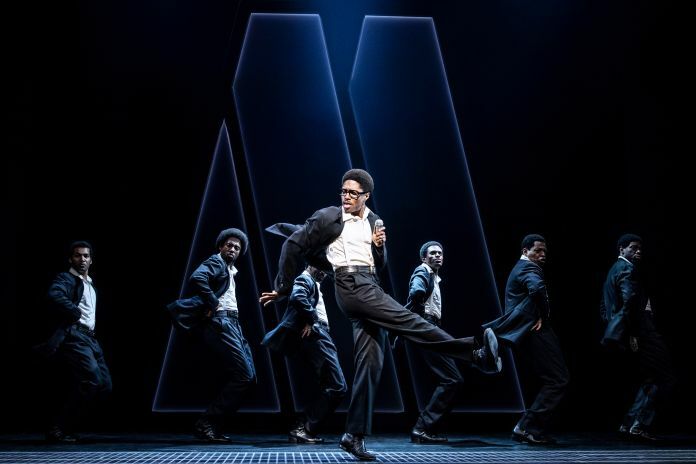 The musical, which features the songs of the Temptations and is directed by Des McAnuff, will play the Imperial Theatre following a run in Toronto this fall. The show features a book by Dominique Morisseau, making her Broadway debut, and choreography by Sergio Trujillo, currently represented on Broadway by “Summer,” also directed by McAnuff. “Ain’t Too Proud” will begin performances on Feb. 28, 2019 with an official opening night on March 21, 2019. The lead producers are Ira Pittelman and Tom Hulce. “Ain’t Too Proud” is currently playing the Ahmanson Theatre in Los Angeles through Sept. 30 and previously played the Berkeley Repertory Theatre and the John F. Kennedy Center for the Performing Arts. The show’s current creative team includes scenic designer Robert Brill, costume designer Paul Tazewell, lighting designer Howell Binkley, Steve Canyon Kennedy on sound design and Peter Nigrini on projection design. The show will be entering a Broadway season that is currently slated to include at least other new jukebox musicals: “Head Over Heels,” which opened July 26, and “The Cher Show,” which plans to open in December.